Guess what? National Cheeseburger Day is on September 18! 50 billion burgers are eaten by Americans every YEAR! Burgers are also the most popular food, followed by hot dogs. Cheeseburgers were founded in Pasadena, California. The alleged history of the cheeseburger started in 1926 when Lionel Steinberger accidentally dropped a piece of cheese on a burger! With National Cheeseburger Day inching closer we have compiled some recommendations for you to try to get in the festive spirit of a great food holiday. We found a few places that are different than your average cheeseburger joint. Feeling hungry yet? 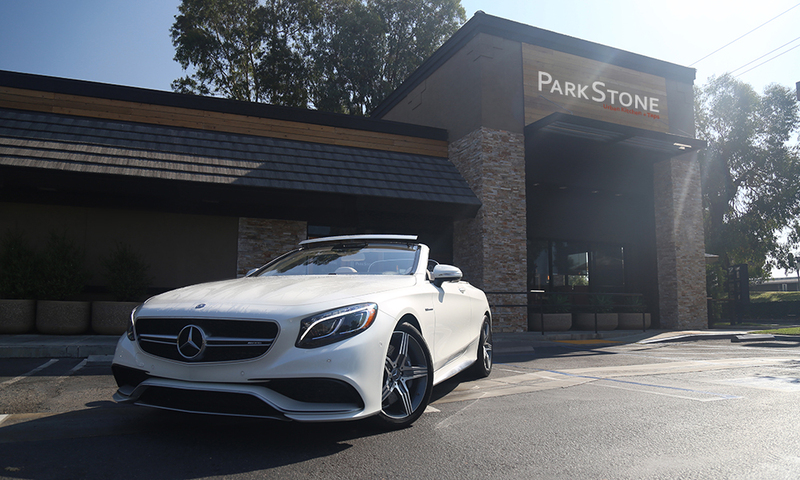 First Stop was ParkStone Restaurants is located in Newport Beach, off Jamboree Rd. ParkStone Urban Kitchen + Taps is a high end fast-casual restaurant with focus on handcrafted burgers. ParkStone offers a large selection of fresh all-natural Angus beef burgers, natural hormone-free chicken sandwiches, and a breakfast menu are available daily with renowned Kean’s Coffee. Everything is made from scratch every day at Parkstone. For a fun environment and a good burger you can’t go wrong with ParkStone! Our Second Stop was the Hopdoddy Burger Bar, which is located in Fashion Island. If you are looking for a spicy/juicy patty, look no further. The EL DIABLO burger is not for the faint of heart, it contains an Angus Beef, Pepper Jack, Habaneros, Serranos, Caramelized Onions, Salsa Roja, and Chipotle Mayo. Hopdoddy also serves some less intense options and everything is freshly prepared. Our Last Stop was Grinderz. Grinderz is small cozy place located in Costa Mesa and another location in Huntington Beach. Hours are every day between 11am-9pm. Their motto is “Keepin It Simple” with good mood food for the whole family. The menu is described as “beefed-up burgers, to die for turkey burgers, veggie burgers, chicken burgers, and beer on top.” If you are looking to avoid a novel of a menu, this is your place. So make sure to drop by one of our suggestions or one your personal favorites for National Cheeseburger Day! Don’t forget to share your cheeseburger photos with us by tagging @fjmercedes! 0 comment(s) so far on Guess what? National Cheeseburger Day is on September 18!